Mobile hairdressing. Let me take the stress out of racing around and trying to find time to get to the salon. Let me come to you and make your life easier. 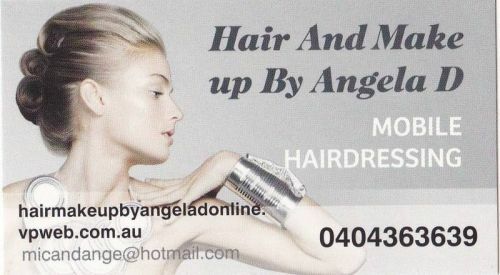 I offer all aspects of hairdressing along with hair and makeup for special occassions along with 24 years of experience. Free consultations and 20 % off for all new clients on full prices.